Our maintenance team found a small white dog near Building 11. If your dog is missing, please contact the office at 407-896-5440 as soon as possble. I wanted to inform you that as of tomorrow I will be starting a new chapter in my career with McKinley. I will be moving into my newest assignment as the Community Manager for a sister community in the Winter Park area. I leave with great confidence in the staff we have, knowing that they are capable of overcoming any hurdles that may come their way, and addressing them singularly, and more importantly, together as we always have. With December rent being due this Saturday, 12/1/18, we wanted to remind everyone that we are no longer accepting rent payments through the office drop boxes. This decision was made for the protection and safety of our valued residents and their financial accounts. Unfortunately, there have been several cases of drop box theft and vandalism in our area which have compromised the accounts for renters at other communities. Happy Thanksgiving! Holiday Week Hours!! 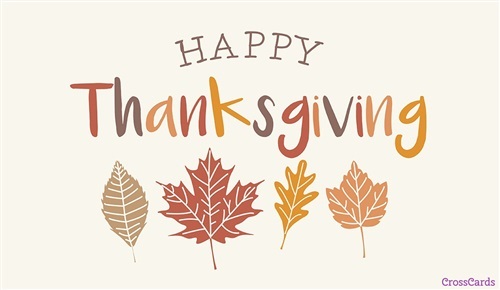 Read more about Happy Thanksgiving! Holiday Week Hours!! Office Hours on Mid Term Election Day! Read more about Office Hours on Mid Term Election Day! Friendly Reminder New Payment Options! Read more about Friendly Reminder New Payment Options! I registered my information to and I still can't make a payment. I will not pay late fee for not being able to make a payment. This new system is ridiculous! How is the system reliable, when it won't allow me to continue without opting into your credit reporting option? I tried to make a payment as well with the same DEBIT card I’ve been using for the last 6 years to pay my rent. It tried to charge the credit card fee. I called them and was told they cannot accept prepaid debit cards(I get disability). Would have been nice to know that, and have more than a weeks notice that the payment system was changing if we needed to change our direct deposit or anything. I went to the office to speak them about it, because I too will not pay a late fee when I’ve never been late on my rent before. They were in the office(yes it was before 10) and I was told that they couldn’t speak to me until 10. I am really pissed and frustrated right now, as I have multiple drs apts today and now I have to try and figure out how to get my rent paid as well. Something that is usually done by 6am. Thank you for taking the time to speak with me in regards to your concerns. Per our phone conversation I have sent a message to our IT department in reference to your case. I'm glad that you were able to find a different option to make your rental payment for the month of October. Please feel free to reach out to me with any other concerns you may have.